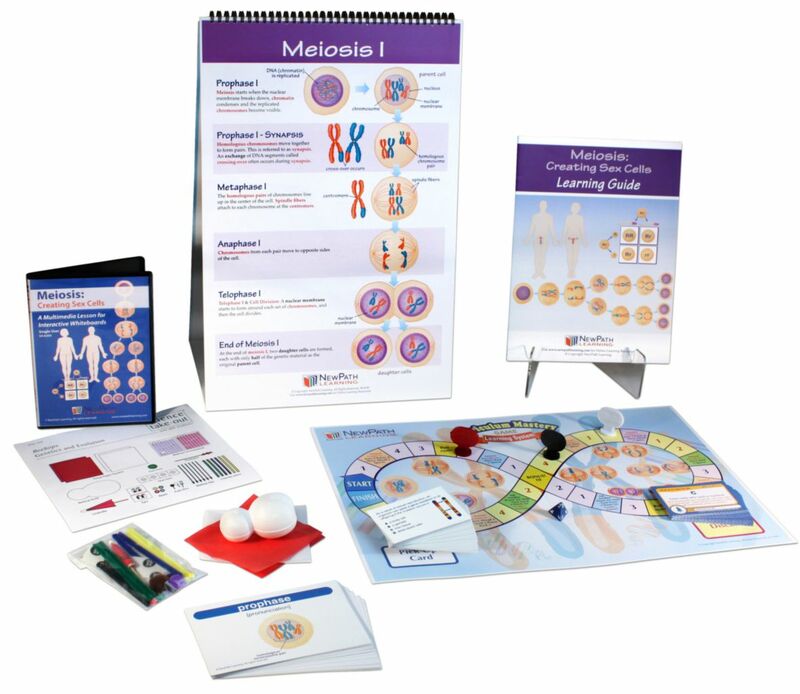 NewPath’s Meiosis Curriculum Learning Module provides a complete set of visual, digital, and hands-on resources designed to support teacher instruction and provide students with the skills to master key concepts on Meiosis. Used in combination or individually, students gain thorough knowledge from an engaging blend of technology-based instruction, interactive print resources, game-based learning, and a hands-on lab investigation. The module includes detailed, standards-based coverage of sexual reproduction, DNA replication, stages of meiosis I and II, crossing over, and mitosis and meiosis comparison. 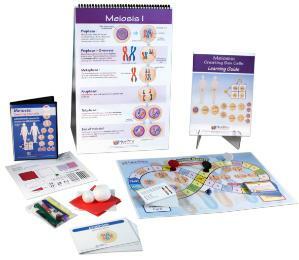 Ordering information: This kit includes 1 flip chart set with 10 double-side, laminated charts including a graphic overview and “write-on/wipe-off” activities, 1 student learning guide featuring self-directed readings, illustrated explanations, assessment questions and a lab investigation, 1 vocabulary review card set, 1 curriculum mastery game (four players), 1 interactive multimedia lesson containing animated tutorials, interactive activities, visual resources, illustrated and narrated glossary, virtual labs, and assessments, and 1 hands-on lab investigation—Beebops: Genetics and Evolution.